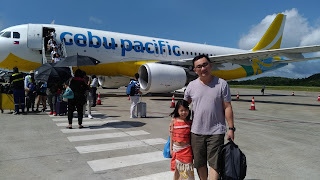 Glad Design Your Kid's Baon Promo Extended Until November 14! I have good news for all mommies who are also Kitchen Divas! 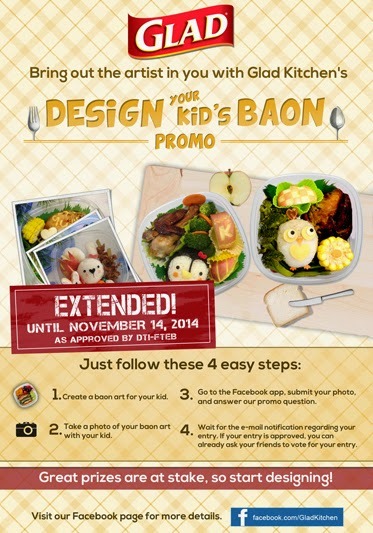 Glad Kitchen is extending its "Design Your Kid's Baon" promo until November 14, 2014! 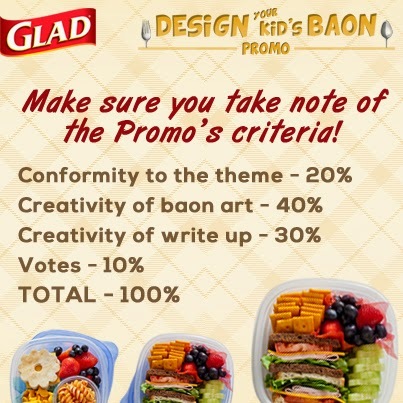 To know more about Glad Design Your Kid's Baon promo mechanics, visit here.